Dr. Katz’s staff is trained in assisting with I.V. sedation within our state of the art office setting. 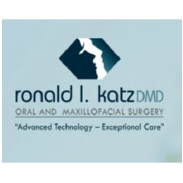 Furthermore, Dr. Katz utilizes minimally invasive surgical techniques like Radiofrequency (RF) or Radiosurgery. Minimally invasive oral and maxillofacial surgery is less traumatic with minimal bleeding which leads to decreased pain and swelling and a more rapid recovery. We also have 3D Cone-Beam Technology which has minimizes radiation exposure.